When was the last time you experienced the Fridge Phenomenon? You know, that unique experience that takes place in homes worldwide: A hungry family member opens the refrigerator to look for something to eat, peruses the contents, sees nothing appealing, then closes the door. A few minutes later they return to repeat their search, thinking that maybe this time, they’ll find something different, something more appealing inside. By now they’re usually willing to settle for anything-maybe a piece of fruit or a yogurt. Even leftovers can suddenly become enticing. The chosen food is then eaten and the seeker is satiated. Families and individuals in need don’t experience The Fridge Phenomenon. When a hungry child opens the refrigerator to find something to eat, often it’s empty and no amount of searching will reveal a food that suddenly becomes enticing. When a mother opens it to take out ingredients in order to cook her family a meal, there are none. People living in poverty simply try to survive day by day, despite their pervasive hunger and all the detriments associated with it. The Yad Eliezer Food Boxes program works to relieve hunger for thousands of families every month. Assembled in our Jerusalem warehouse by dedicated volunteers, packages contain practical food staples plus fresh produce, home products and other basic necessities. Respecting the dignity of the recipients is always a priority at Yad Eliezer, so additional volunteers discreetly deliver the unmarked boxes to their homes on a weekly basis and in time for holidays. That way, neighbors or even young family members need not know the source of the assistance. Your help is what enables us to do what we do. When donating to our Food Boxes program, you are filling refrigerators with food, and lives with a sense of normalcy. 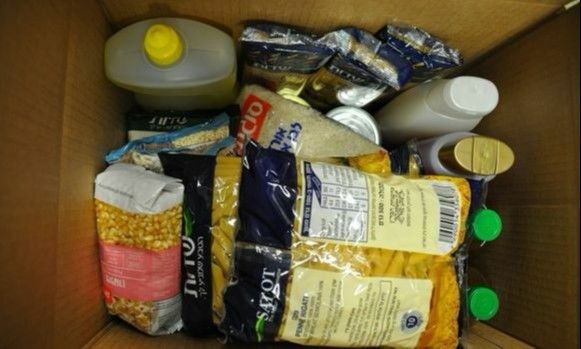 3,500 families receive food boxes each month. About 42,000 boxes are distributed.